Last year, the German record label celebrated its 20th anniversary by creating the White Circle project. 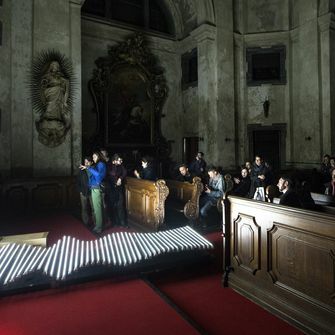 It is an acoustically-architectural space designed as an audio-visual installation. Raster-Noton invited four artists to contribute to this project by composing a special musical composition. Alva Noto, Byetone, Frank Bretschneider and Kangding Ray accepted this challenge. The four musical components differ from each other and so reflect the individual expression of individual artists. All of them stand on the principle of ambient music which tries to literally materialise both the acoustic space and visual stimuli. 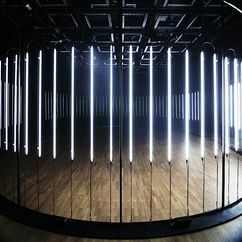 White Circle is designed for the so-called Klangdom, developed by the German Centre for art and media. 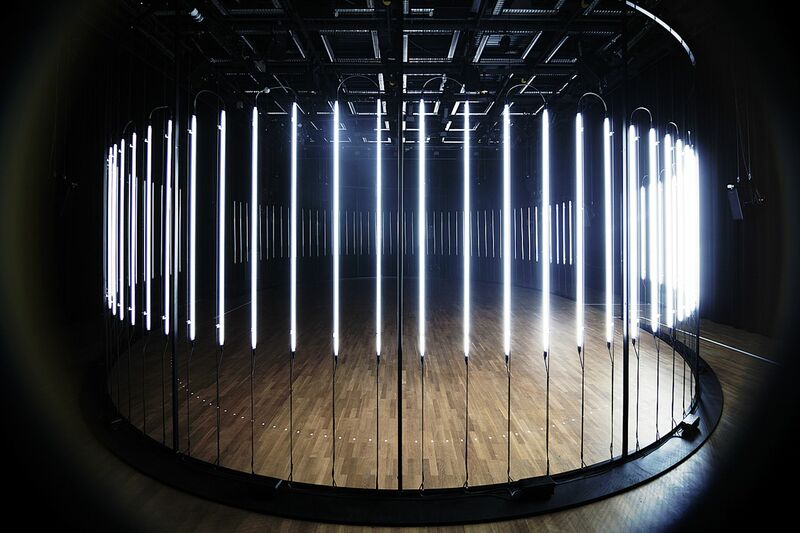 This special space is made up of a number of moving loudspeakers, making the sound itself a space experience. 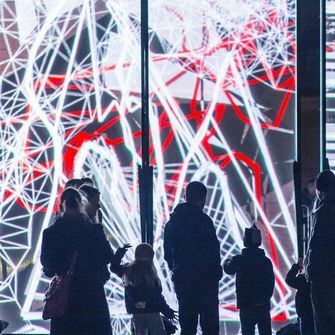 Thanks to the collaboration with Cisco we can show you the SIGNAL Festival in a different way. 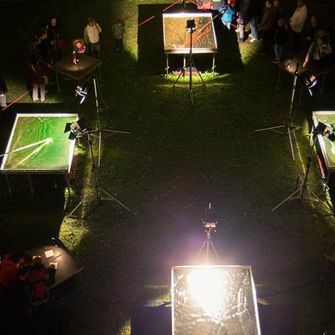 After downloading the SIGNAL Festival application, you will see the installations in Dup39, U Stýblů and in the Colloredo-Mansfeld Palace from all possible angles. In addition, in Klementinum you can open a stream from all three locations of the gallery zone.